In the Zehnder Academy, we share information and resources to better understand the role of heat and energy recovery ventilators in high efficiency buildings. Let us provide complimentary design and quote service. This process assures that the installation meets the design criteria used to maximize comfort, efficiency, proper ventilation, and operation. Learn more about our Heat Recovery Ventilators (HRV) and Energy Recovery Ventilators (ERV). Poor indoor air quality can lead to a rise in asthma and allergic symptoms due to the increased concentration of allergens such as dust mites, VOCs, pollen and mold. 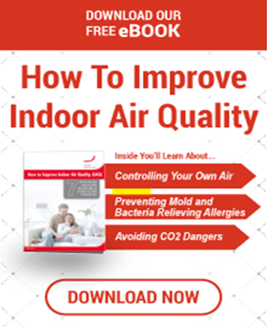 Good air quality through continuous extraction of moist, stale air from bathrooms and kitchens and a continuous supply of clean, tempered air to habitable rooms. Low velocity air supply ensures that fresh, clean air does not create drafts around the home. Zehnder Comfosystems products use recovered and renewable energy sources. Whole house heat recovery ventilation technology can recover up to 90% of the heat and contribute to an energy savings of up to 50%.